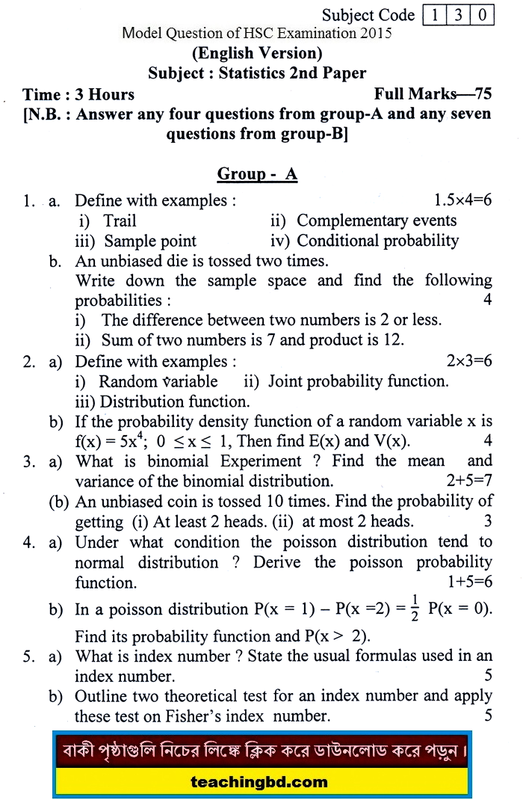 EV Statistics 2nd Paper Suggestion and Question Patterns of HSC Examination 2015. Statistics is the study of the collection, organization, analysis, interpretation and presentation of data. It deals with all aspects of data, including the planning of data collection in terms of the design of surveys and experiments.